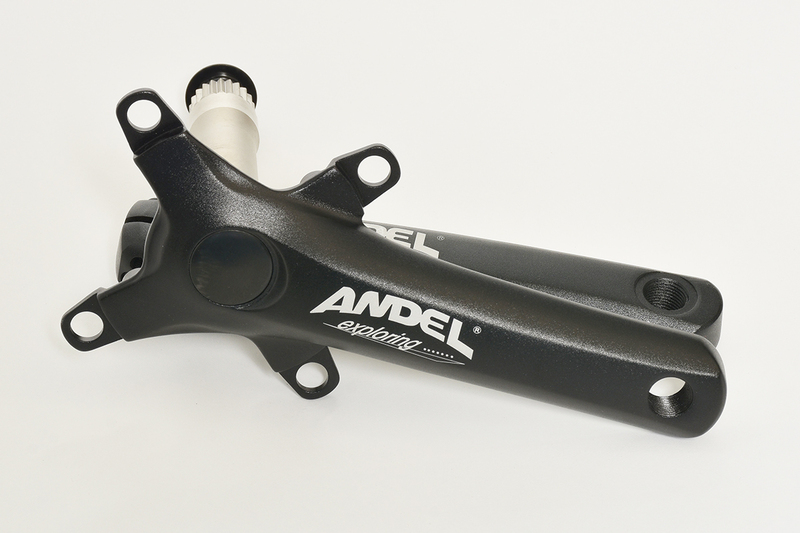 Andel mountain bike crankarms only with spindle installed. Integrated spindle and outboard bearing style. Bottom Bracket and Chainrings NOT included. Requires a Shimano style 24mm external bearing bottom bracket. 64/104bcd allows triple, double, and 1x chainring options. Bottom brackets are available to fit most modern bike brands including Trek, Cannondale, BB30, PF30, and more. Click here to see bottom bracket options. 2. Install right crank arm by placing spindle through bottom bracket.